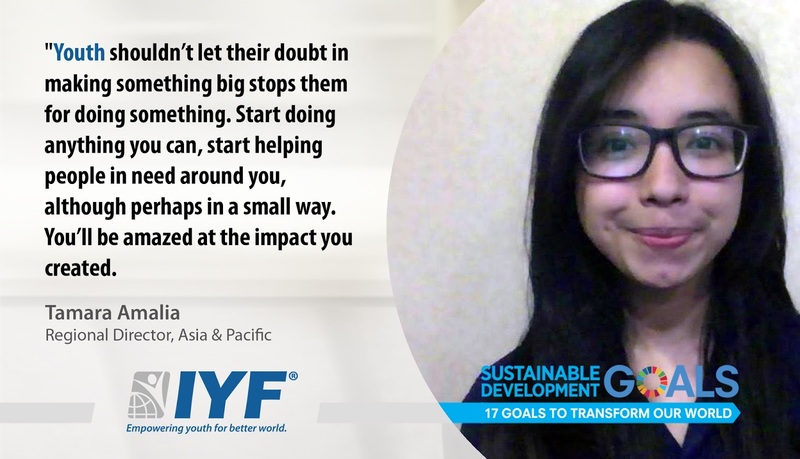 London, United Kingdom: In a statement issued today, the IYF Executive Board announced that Ms. Tamara Amalia appointed as Regional Director for Asia & Pacific. “We are excited to announce Ms. Tamara’s appointment. She will bring a tremendous amount of enthusiasm to this position through oversee IYF activities in the Asian region”. Said Ambassador Saeed ZAKI, Secretary General of The International Youth Federation. Ms. Tamara is a young leader from Indonesia, passionate about youth development, innovation and communications for development. Besides working in a corporate world, Tamara is a founder of a nonprofit organization focusing on soft skills education called “WeLead”. She has also just finished writing a book about stereotype and human rights, and soon to be published. To deliver her ambition in making education accessible for all children since 2015, she leads her independent project in going to suburb places and teaches unfortunate children. Ms. Tamara holds a bachelor of Architecture from Limkokwing University of Creative Technology.